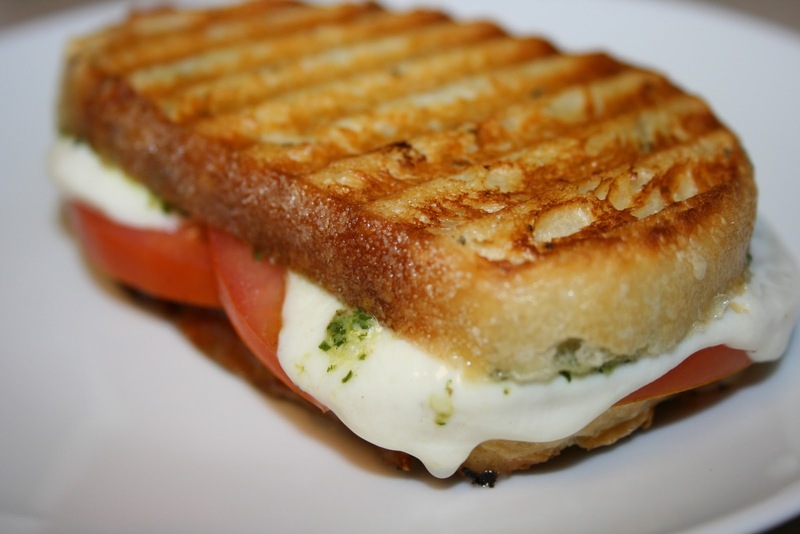 My mom actually came up with the idea to make these Italian Paninis, and I love them! I just made one minor change, and it really made a huge difference! So I thought I'd share the recipe. First thing you need to do is make pesto. This is where I've varied from my mother's recipe. She buys pre-made pesto from the grocery store, which is totally fine and also tasty. But, we couldn't find any in our grocery store, so I decided to make my own. And it was actually a BIG difference in flavour, for not a lot of extra effort. Totally worth it, in my book. 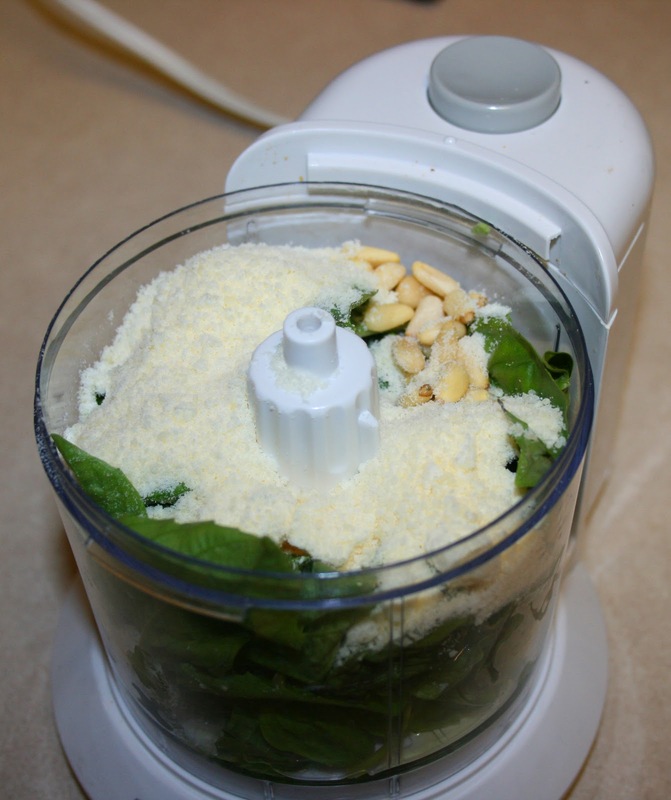 Combine all ingredients together in a blender and mix, mix, mix until smooth. 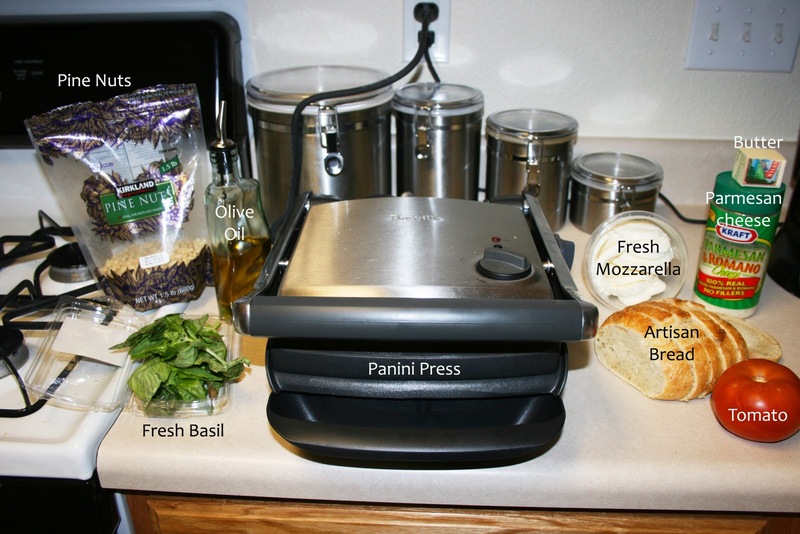 Now you are ready to start cooking the panini. Cut the tomatoes, bread, and mozzarella into slices...to desired thickness. Spread a layer of pesto onto the inside of two slices of bread. 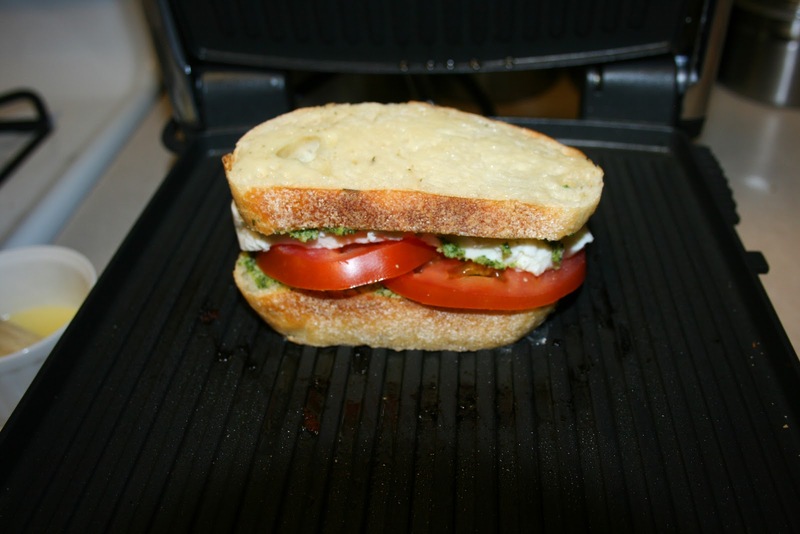 Place a layer of tomatoes on top of the pesto (on one slice of bread only). Place a layer of mozzarella cheese slices on top of the tomatoes. I personally like to make this layer pretty thick, because I love me some cheese. Put the other slice of bread on top, pesto side in. Brush butter on the outside of the sandwich. 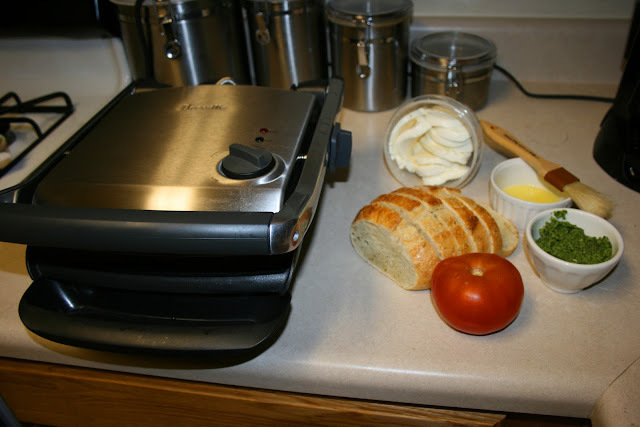 Stick the sandwich in the panini press, close the lid, and let it cook until the cheese is soft and gooey. TIP: Brush butter on one slice first, then place that side down on the panini press, and butter the other slice. It's a lot less messy that way. Once the cheese is melty and the bread is a nice golden brown, your panini is ready to be devoured. Try not to drool in anticipation. Then dig in and enjoy!